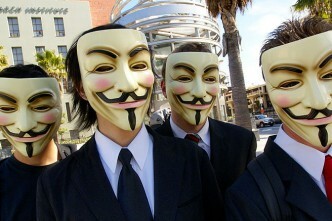 Allegations of Australian espionage towards Indonesia have recently ruffled feathers in Jakarta. While the espionage itself has been an open secret, what Indonesia doesn’t accept, let alone understand, is the depth and extent of the espionage. It’s intruded into the private lives of Indonesian key political and government figures, not least the President Susilo Bambang Yudhoyono and the First Lady, Ani Yudhoyono. Adding insult to injury was Prime Minister Tony Abbott’s refusal to admit that these activities have been ongoing for a long time and consequently (as he refused to comment on intelligence matters), he refused to apologise. In retaliation, Jakarta recalled its Ambassador from Canberra and has terminated cooperation with Australia, particularly military cooperation, on people smuggling. Canberra might perceive Jakarta’s behaviour as an overreaction, or perhaps, assume the dust will easily settle soon. After all, both countries know (at least between their intelligence communities) that spying has been the common order of Australia–Indonesia (and indeed, international) relations. Assuming this mutual tacit ‘understanding’ will calm the storm pretty easily is very misleading and dangerous. The last thing Canberra should do is to underestimate Jakarta’s ire on this issue and the consequences it could potentially bring to bilateral relations. Why is Indonesia so furious about this? The short answer is betrayal. Indonesia’s President has always seen Australia in largely positive terms. He trusts (or did trust) Australia more than his predecessors or even more than most Indonesians do. He thought that an Indonesia under his administration would be seen in a more positive light in Canberra—one that’s more open, democratic, and even friendlier to Australia—than under previous administrations. Briefly put, Yudhoyono expected Australia to see Indonesia as a ‘normal country’. This is why despite the recurring irritants in the relationship, such as the cattle issue or even Australia’s granting of asylum status to West Papuan separatists, relations eventually would get back on track. 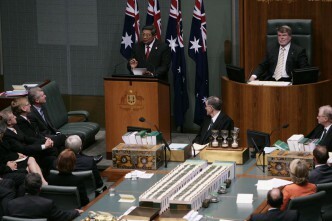 The fact that Yudhoyono was granted the honour to be the first Indonesian President to speak before the Australian parliament further reinforced his trust toward Australia. After all, Canberra has touted Yudhoyono’s non-official title as the best Indonesian President Australia has ever had. But Yudhoyono has learnt from this incident that his personal trust toward Australia is and has never been reciprocated to the same degree from Canberra. In Australia, prime ministers can come and go, but the trust deficit between Australia’s semi-autonomous intelligence community and Jakarta seems to be a constant. And the fact that Australia’s wiretapping also included Indonesia’s senior political and government figures further attests that this isn’t just a personal attack against the President, but can also be perceived as an affront toward Indonesia as a nation. Perhaps the story would have been different had it been only Yudhoyono, or one of his ministers. Yudhoyono is a very private person, and he takes his personal image very, very seriously. 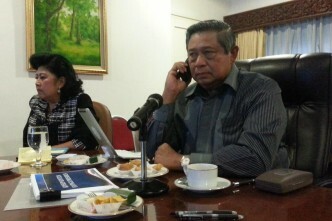 Hence, his political opponents often criticise Yudhoyono’s behaviour and policies as politik pencitraan (image politics). But this isn’t uncommon for most Indonesian leaders. We can recall the David Jenkins affair that severely affronted Suharto and his family, and the Wikileaks incident that deeply offended Ani Yudhoyono. These cases demonstrate that, at least in Indonesia, a national security problem can quickly be taken as a personal issue. And vice versa, an international issue that dented the image of the ruling family and ruling circles could be taken and elevated as a national security issue. Personal ties between leaders, therefore, are extremely important. This is the quality that Tony Abbott has yet to demonstrate when compared to his predecessor, Kevin Rudd. And this is why Yudhoyono’s first response was to convey his ire through Twitter and send a personal letter to Tony Abbott, rather than deliver a televised address. He understood that Tony Abbott’s remarks before the Australian Parliament were about shoring up his image before a domestic audience. But now Yudhoyono is able to turn the tables by framing this incident as a national security problem. With the national election fast coming up next year, he could turn and exploit this incident for domestic political benefit. Meanwhile, this incident will surely change the rules of the game in bilateral relations. Indonesia understands that it has the bargaining chips vital to Australia’s core interests, among which, is cooperation on people smuggling. While both countries understand there’s too much at stake if the relationship were completely severed, Jakarta would certainly stop at nothing to exploit this incident to the fullest in order to level the playing field with Canberra. For Jakarta, levelling the playing field means to put the way Canberra commits its intelligence activities and espionage against Indonesia into a mutually agreed ‘code of conduct.’ I’ll address in my next post how viable this arrangement might be. Ristian Atriandi Supriyanto is an associate research fellow with the S. Rajaratnam School of International Studies at the Nanyang Technological University in Singapore. Image courtesy of official website of the President of the Republic of Indonesia.